When it comes to fabrics, we always tend to purchase cotton-made materials. If the item is not made from cotton, we don’t like it. We will often ignore it. Cotton-made materials have a good feel to them. They are smooth, fluffy, and comfortable to use. Still, there are types of cotton that have better attributes. Among the most commonly compared types of cotton are Egyptian cotton and regular cotton. How do these types of cotton differ from one another? An Egyptian cotton is made from Egypt. You can only find true, Egyptian cotton if it has its trademark logo. Its trademark logo has the symbol of a cotton plant located inside a dark triangle. Egyptian cotton is said to be of premium quality than regular cotton. It has long, silky fibers compared to that of regular cotton. 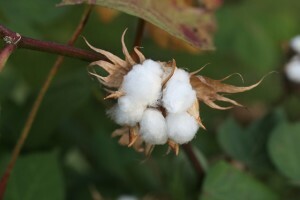 Since regular cotton only has shorter fibers, it is coarser to touch. Unlike Egyptian cotton, it gives you the feeling of a smoother,cotton-made material. Egyptian cotton is well loved by many because of its silkier and softer feel. Producing Egyptian cotton is one of Egypt’s greatest pride. The cotton quality of Egyptian cotton is renown because Egypt’s climate makes it favorable for cotton plants to flourish better. Usually, the cotton plants are grown near the Nile river. The Niler river is a perfect place to grow cotton plants that produce long, cotton fibers. These long, cotton fibers are not only silkier and softer, they are also very strong compared with regular cotton. Washing your Egyptian cotton made materials will not give you a pilling effect, unlike regular cotton. The pilling of regular cotton gives the material a rougher feel. Egyptian cotton also lasts longer than regular cotton. It’s natural chemicals allow it to repel all insects and pests that nibble your fabric away. The quality of a cotton material is also determined by its number of woven fibers. Regular cotton has fewer woven fibers compared with Egyptian cotton. Egyptian cotton has several closely woven long fibers which enable it to yield a smoother surface. Regular cotton’s minimal woven fibers make it yield a coarser feel. Because of Egyptian cotton’s premium quality, it is usually more expensive than regular cotton. Egypt gets their income mostly from producing cotton fabrics. Despite Egyptian cotton’s superior quality compared to regular cotton, you can also opt for regular cotton over any other type of fabric material because of the comfort it can give you. Generally, cotton-made materials are lighter to wear and more breathable. In terms of clothing, cotton-made materials are mostly preferred be it Egyptian cotton or regular cotton. Knowing that Egyptian cotton is superior to regular cotton, doesn’t mean that all cotton materials made from Egypt are of a high quality. It also depends on how the manufacturer assembled the cotton. So as not to waste your money in purchasing the wrong type of cotton material, it also helps to rely on your sense of touch. If you find that you are satisfied with a particular cotton material, then enjoy trying it. Egyptian cotton is superior in quality to regular cotton. Regular cotton has shorter and coarser fibers while Egyptian cotton has longer and smoother fibers. Egyptian cotton is silkier than regular cotton. When it comes to strength and durability, Egyptian cotton is stronger and more durable than regular cotton. Egyptian cotton is more expensive than regular cotton. Celine. "Differences Between Egyptian Cotton and Regular Cotton." DifferenceBetween.net. December 22, 2016 < http://www.differencebetween.net/object/differences-between-egyptian-cotton-and-regular-cotton/ >.